If you’ve ever had a nice fuzzy feeling whenever you heard the voice of a loved one, then, you’re not alone. If somebody’s ever told you that ‘we need to talk’ and out of their tone you understood that something’s bad, then again, you’re not alone. A new study has shown that dogs have an uncanny ability of picking up our emotions only from our speech – seeming to sense our emotional currents through changes in the tone of our voice. Ask any dog owner, and they’ll confirm it; but for the first time, the science has been done to confirm this theory. It took a while to get there though, and kudos to the researchers for getting conscious dogs to stay still enough during the MRIs – I have no idea how they managed to do this. Scanning other animals is normally very difficult, as they need to be both conscious and very still. 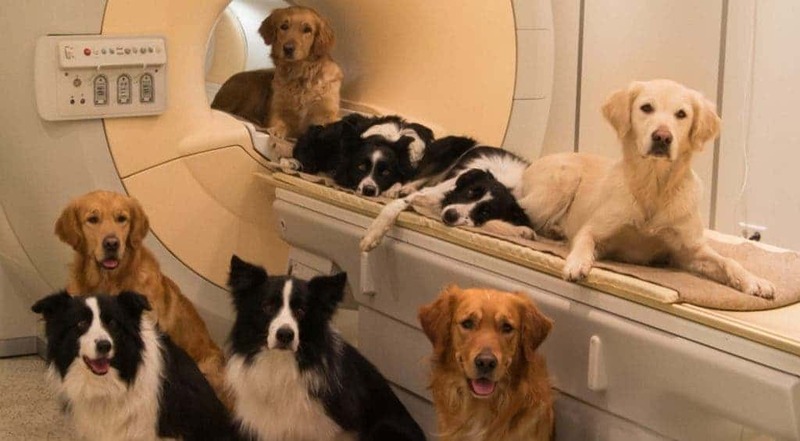 Thankfully, dogs are very trainable and Attila Andics, a researcher in the MTA-ELTE Comparative Ethology Research Group in Budapest and his team, managed to train 11 dogs (golden retrievers and border collies) to rest in an MRI machine. That allowed them to observe the patterns in the dogs’ brains when they heard any of 200 different sounds and compare those responses to humans’. This is the first study which creates a neurological comparison between humans and non-primate animals. However, we shouldn’t take these findings too far. It’s tempting to draw the conclusion that dogs and humans received their vocal-perception strategies from a common ancestor – but that’s pretty much impossible. If this were the case, then more mammals would also exhibit this – which isn’t happening. Evolutionary biologists are pretty clear on this one. Andics argues that it’s possible that other mammals do have such a system, since recognition of emotional cues through vocalizations would have been beneficial to all of them. But the other camp claims that this is another simple case of convergent evolution – the same characteristic independently occurring in different animal groups.